The second largest airport in the country has embarked on a development plan that shall bring forth a surge of opportunities for workers in the construction sector. Melbourne Airport has undertaken its biggest transformation since it first opened in 1970. In order to accommodate an expected doubling of passenger numbers to 60 million, the Airport has begun works towards its $10 billion 20 year Master plan. In the first stages, the focus is on an expansion of the domestic terminals. Work has begun on the Southern Precinct Project which shall introduce a new terminal between the existing T3 and T4 terminals. This is expected to cost $1 billion over two years and comes with a slew of employment opportunities. The plan estimates that work on this expansion will create 3000 jobs required for the various upgrades involved, ranging from creating new aircraft parking bays to developing extra automobile parking, pick-up and drop-off bays for the general public and facilities for taxis, busses and Skybus. 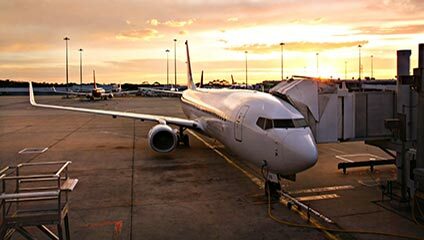 The new terminal will be used by Australia’s fastest growing low – fare domestic airlines – JetStar and Tigerair. Furthermore, while the jobs on offer will be temporary in nature, with plans set for a larger and longer development including upgrades to the international terminal and the internal road network, it is expected that these jobs would rollover to future years as further stages of the Master plan are executed over two decades to 2033. Melbourne Airport CEO, Mr Chris Woodruff, in announcing these plans stressed the importance of the airport to the state infrastructure and economy. While in the short term, there will be an encouraging surge in construction employment, in referring to the enhanced employment outlook over the long term, he mentioned that the Airport expects to have 95,000 employees towards the end of the released Master plan, up from the 57,000 it currently employs.